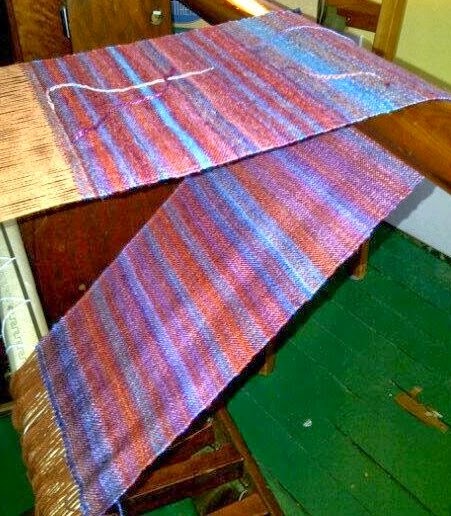 This past weekend I finally got around to doing the weaving on my first floor loom weaving project.The weft is handspun Merino 60% Bamboo 30% and Nylon 10% in a colourway called “London Town” inspired by the 2012 Summer Olympics. But as I weave it up it reminds me a great deal of the colours of Santa Fe, New Mexico. 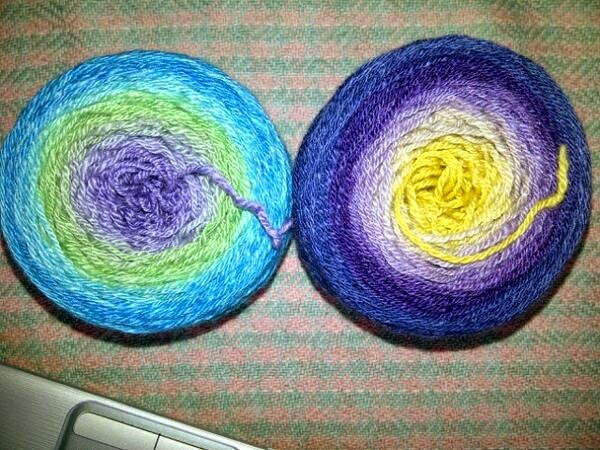 This is three bobbins worth of spinning. I have four more available. The loom has its quirks, but I am getting used to it and am adjusting to the rhythm of it. Busy week so won’t get much more woven until the weekend. Stay tuned. 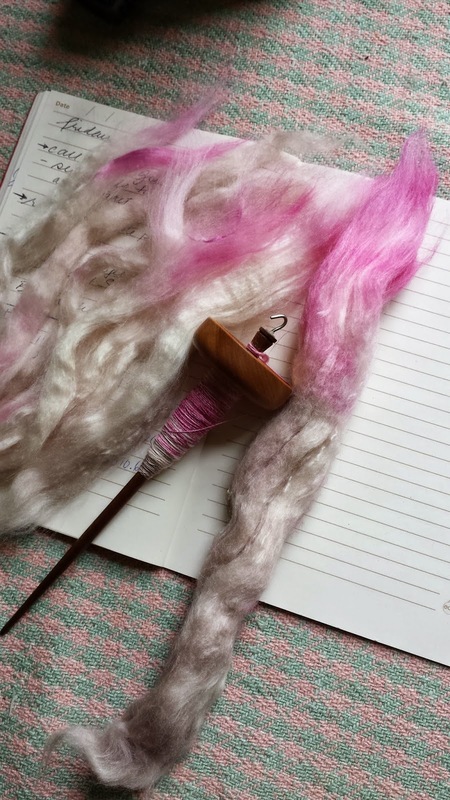 This entry was posted in handspun yarn, weaving on April 3, 2014 by DianaTwiss.